For as long as anyone can remember, the balance of power on Alita’s world has lain significantly in favour of Tiphares, the protected elevated city suspended above the planet, but that’s now begun to change. 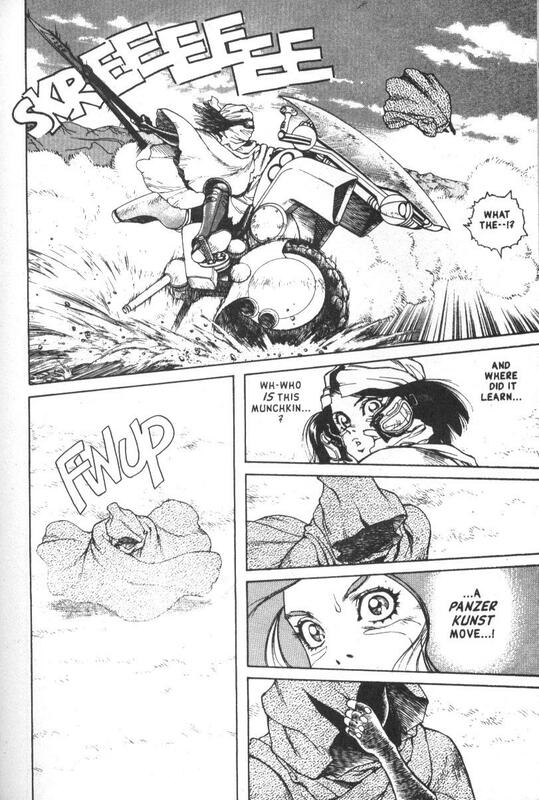 Alita finally met Den of Badrock in Angel of Chaos, and he’s managed to start a significant revolution, intending to sever the tethers holding Tiphares and send it plummeting down into the Scrapyard. There’s now a complex web of relationships across the cast, with Alita’s primary task to locate Desty Nova, a renegade from Tiphares now sowing discord on the planet below. 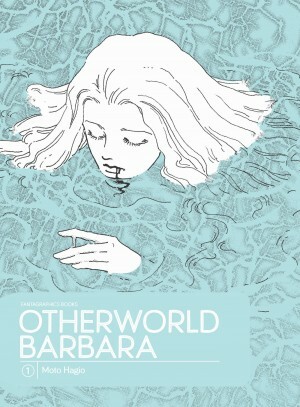 She has a personal reason for wanting to find him also, to ensure he’s kept a promise made ten years previously, and Yukito Kishiro deals with that early, cleverly working it into a revelation that will underscore the remainder of the series. Tiphares has a secret, and the revelation will shift everyone’s perceptions. This is an incredibly fast-moving story, with Kishiro switching locations and throwing in new threats at a positively manic pace, except for one brilliant scene that drops into slow motion. Admirably, Kishiro once again comes up with a threat that escalates the power levels, this time one that surely even Alita can’t see off. 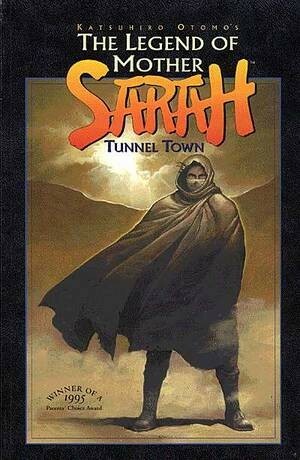 Yet that’s only half a chapter among a virtuoso display of how to keep an audience off guard with a dazzling thrill rush in some surreal locations. It’s all so spectacularly drawn as well. 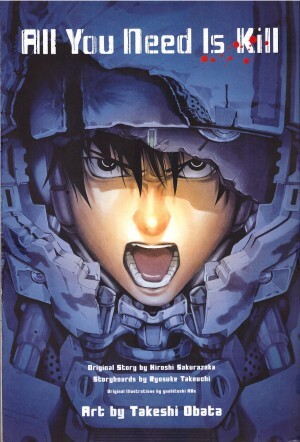 Whether it’s Alita in action or an amazing spread of the train intended to bring Tiphares down, Kishiro has a delicacy and inspiring imagination. 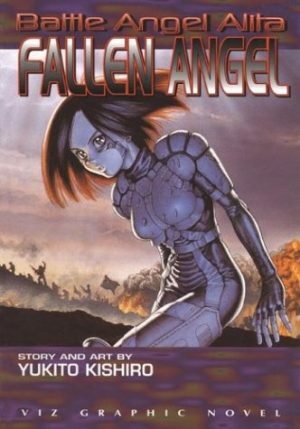 A cliffhanger ending connects directly with Angel’s Ascension, and if after reading Fallen Angel you don’t care about picking it up, Battle Angel Alita is definitely not the series for you. 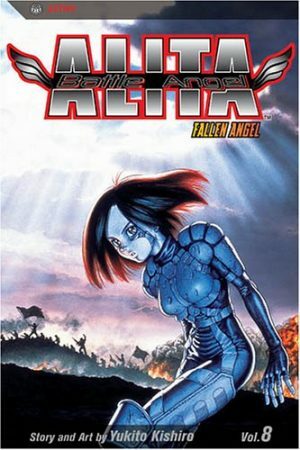 Fallen Angel is also available with a different translation as part of the hardback Battle Angel Alita Deluxe Edition Vol. 4.